My favorite photos are selfies. Could you tell by my shirt? As a blogger, a lot of times, I do not have someone who can take my photos, and I'm left trying to take them myself--most of which ends up being a selfie, and of course that takes super long because I never like the ones I take hah! 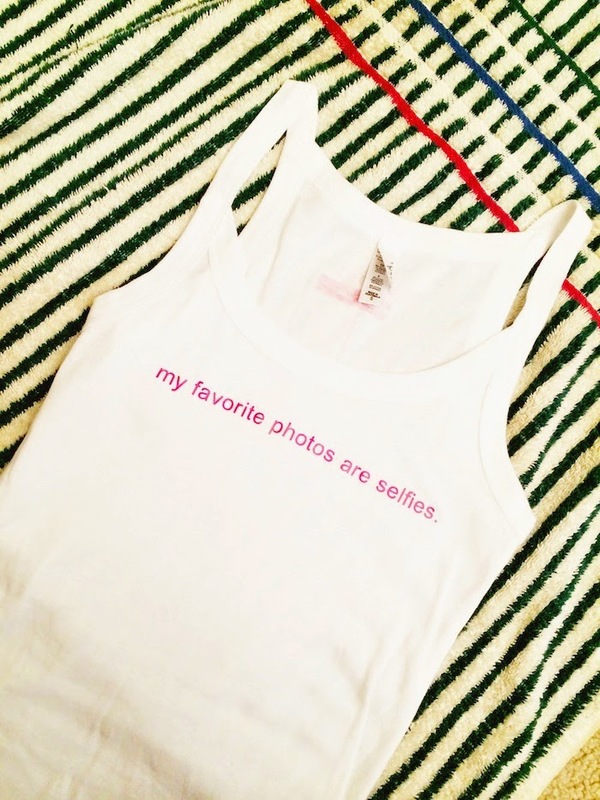 This snarky tank is from GoodGirl Tank & Tees--one of the many cute sayings you can print onto a tshirt or tank! They were generous enough to do a giveaway! So enter in the rafflecopter below, and the winner will be able to choose the tank/tee and slogan they would like printed on it! P.S. The fit is amazing guys! Great giveaway. You look gorgeous in this outfit. you are so cute! lol i love looking at your blog girl - kristina p.
I love how the tank looks with your lace skirt! 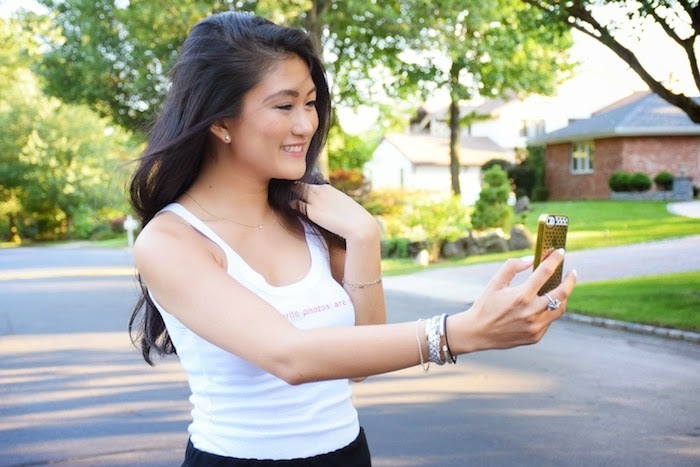 Such a cute look :) & who doesn't love a good selfie session haha great post! I like the make me dinner tank! "I'm hotter than your girlfriend"
I love how you paired everything together, it looks so effortlessly chic! The tank is a perfect fit on you! I would like to get that white tank too with the saying "I will never get old"
Beautiful job! I just love this skirt and you styled it perfectly with your heels. Such a flattering look on you! I love the one with "I´m a vision." Such a cute shirt and you can tell the material is amazing and soft! You look so pretty dear! Love the whole outfit.